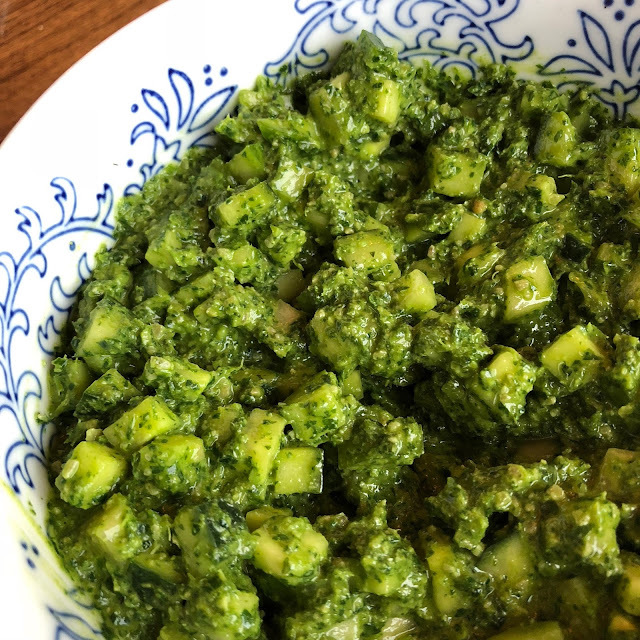 I am going to set the table with this Cucumber Pesto all Spring and Summer long! Click back to Friday's Carrot Top Pesto recipe and simply add as much diced cucumber as you'd like. 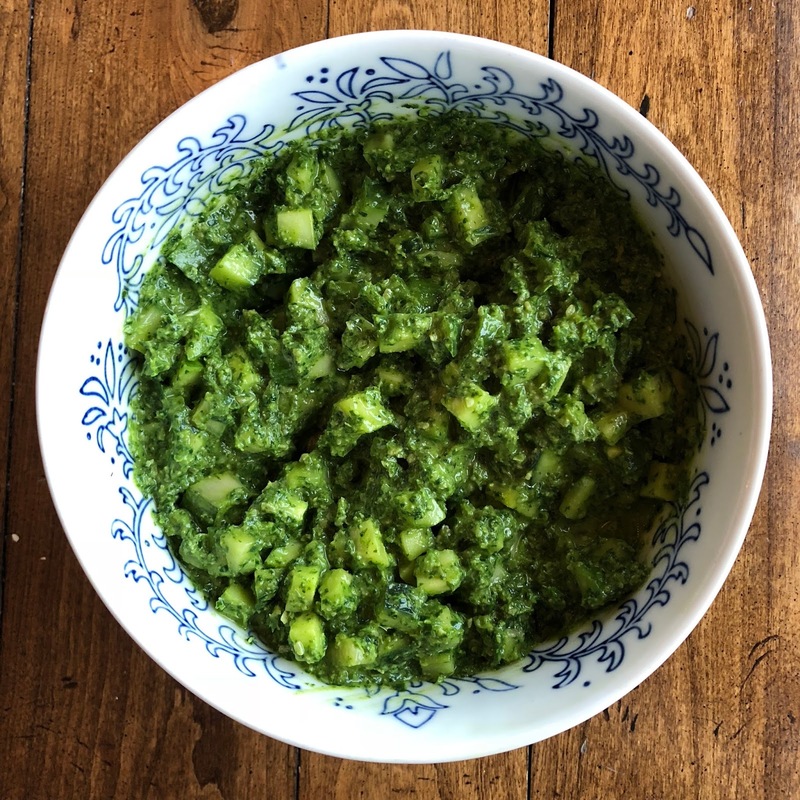 You'll have yourself one heck of a dip, side dish or topping for just about anything (salads, meat, fish, vegetables, chips... YUM). 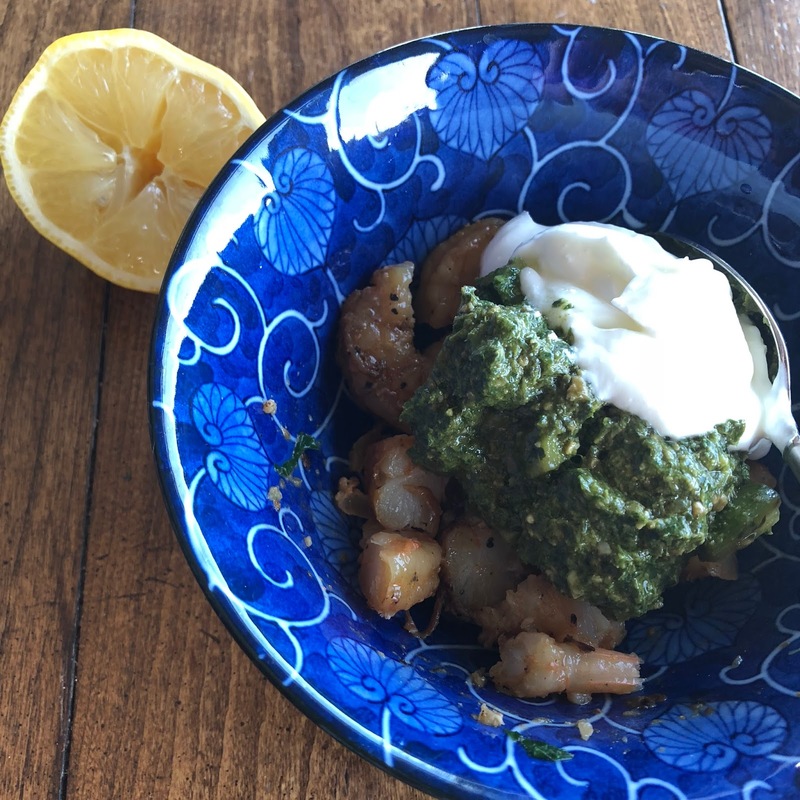 I diced up a few leftover grilled shrimp and mixed in a heaping tablespoon of Cucumber Pesto + a heaping tablespoon of plain greek yogurt + squeeze of lemon juice. 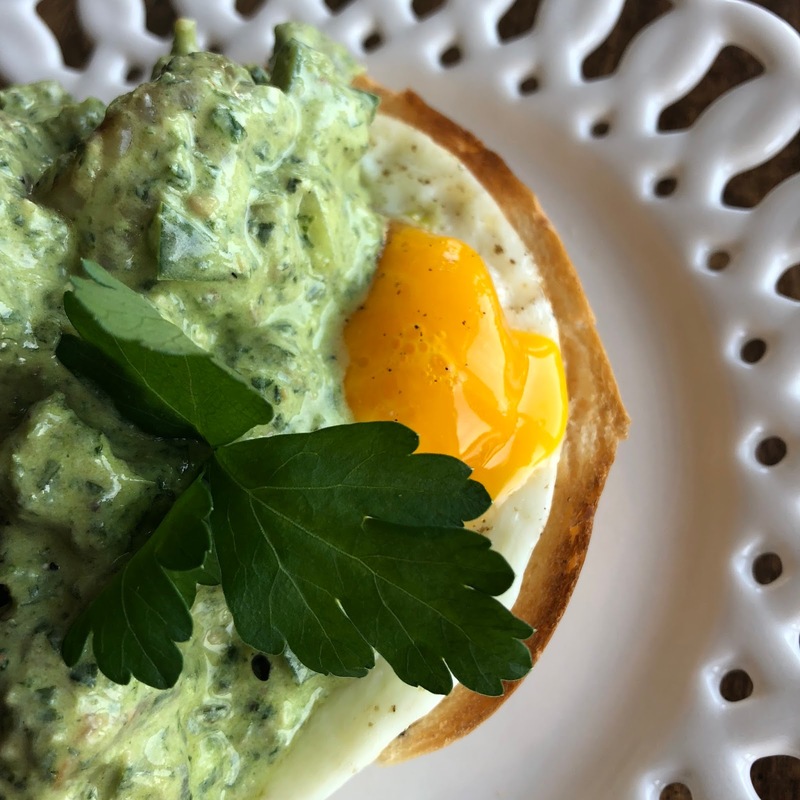 It's my kind of open faced, shrimp and cucumber pesto, egg-asmic food heaven! I savored every bite, without distraction, nice and sloooooooooooooow. Just like the perfect change up. 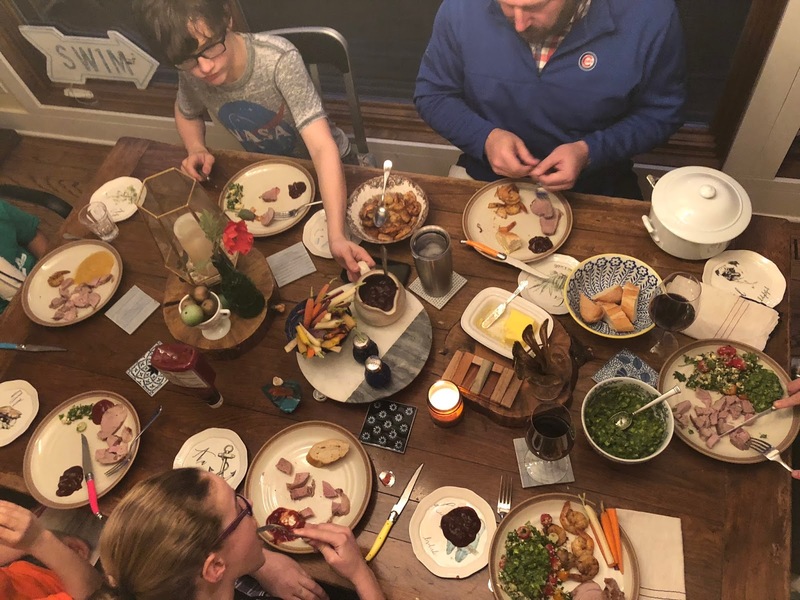 Each #SettheTable2018 post features a delicious family table recipe(s) to inspire your meal planning for the week. #CatchmyGrit on Instagram to follow the fun, the food and the family table reactions (good and bad) leading up to each weekend post. C'est la vie, I selfy-ishly light it UP in pics, videos and Instastories to keep truckin! New to this series? 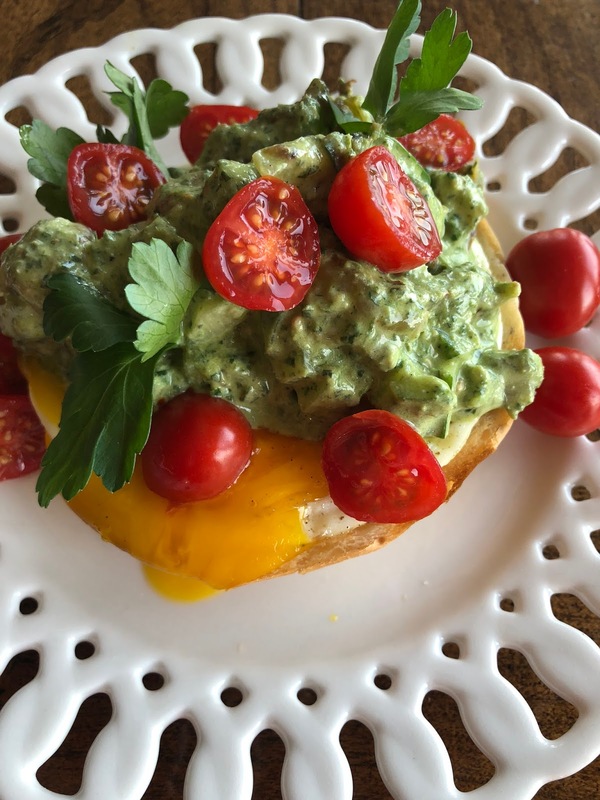 Revisit my favorite #SettheTable2017 recipe links here. Cheers to another year of sharing my crazy food adventures with Pure Barre Kildeer! Keep practicing - It all starts at home plate! Stay on top of Jamie Oliver's Food Revolution Campaign. What is Organic Pasture Raised Chicken Good for? Shop with EWG "Clean Fifteen + Dirty Dozen" produce guidelines. Why? New research suggests pesticides/herbicides are linked to antibiotic resistance. Protect your gut microbiome + mycobiome. Avoid artificial colors and preservatives to keep your "second brain" happy + healthy.